A contrail from the meteorite expanding across the sky Friday over the Ural Mountain city of Chelyabinsk. Hundreds of people were injured by the blast. In light of the meteorite blast that sent shock waves through the Ural Mountains city of Chelyabinsk on Friday, leaving more than a thousand people injured, Prime Minister Dmitry Medvedev tasked his deputy, Dmitry Rogozin, with proposing ways to predict and prevent disasters from space. Rogozin plans to give Medvedev an “objective picture” of Friday’s blast, which caused an estimated 1 billion rubles ($33 million) in damage in the Chelyabinsk region. He will also create “proposals on future possibilities for the country to determine the danger of objects approaching the Earth and prevent [them],” he said Friday on Twitter. Rogozin on Friday reiterated his call from 2011 for an “international initiative” to create a “system” to prevent space threats, he told Interfax. Neither Russia nor the United States can prevent objects from crashing into the Earth from space, he said. Rogozin said “the essence of our idea consists of joining the intellectual and technological efforts of industrial nations,” he tweeted Sunday, citing Russian, U.S., Chinese and European industries as examples. The meteor, 17 meters wide and weighing 10 kilotons, had an explosive force of half a megaton, NASA said. It broke up at an altitude of between 30 and 50 kilometers above the Earth, according to the Russian Academy of Sciences. Viktor Litovkin, editor of the Independent Military Review, a renowned Russian military weekly, said a system for preventing space threats could cost more than $28 billion and turn out to be ineffective “because no one today could precisely predict when, in what location and at what time” a falling object would come, he told Business FM radio Saturday. State money allocated for the system might be “siphoned off,” he added. Producing and putting powerful telescopes into the Earth's orbit or perhaps on the moon would "aide research of the universe," he said, adding that new space ships were being planned for production in Russia and the United States. Mankind needs systems for "diagnostics" and for "moving" asteroids and "melting" of meteorites with "nuclear warheads in space," Pochinok said. Pochinok said the participation of other states would protect the money from being siphoned off. In October 2011, Rogozin, at the time Russia's special envoy to NATO on missile defense issues, was working on proposals to NATO and the United States to create a system to protect the Earth from space threats. The initiative, dubbed "Strategic Earth Defense," was aimed at persuading United States and NATO to cooperate with Russia on their missile shield in Europe by transforming it into a system for preventing not only missile strikes but also space threats, Kommersant reported at the time, citing diplomatic sources. Rogozin had presented the concept of the system to then-President Medvedev by October 2011 and Medvedev "liked it," Rogozin told reporters at the time. Medvedev wrote "interesting" on the concept and ordered Rogozin and presidential aide Sergei Prikhodko to complete the proposals, Kommersant said. It was not immediately clear Sunday what had become of the proposals. Rogozin in October 2011 called the Kommersant report "an intentional leak," saying the initiative was supposed to be "non-public." Meanwhile, the number of people injured in the meteor strike in the Chelyabinsk region reached 1,183, including 291 children, on Saturday, the latest data available, the Health and Social Development Ministry said. Forty people, including three children, remained hospitalized Saturday. Chelyabinsk region Governor Mikhail Yurevich said 1 billion rubles ($33 million) of damage had been caused. 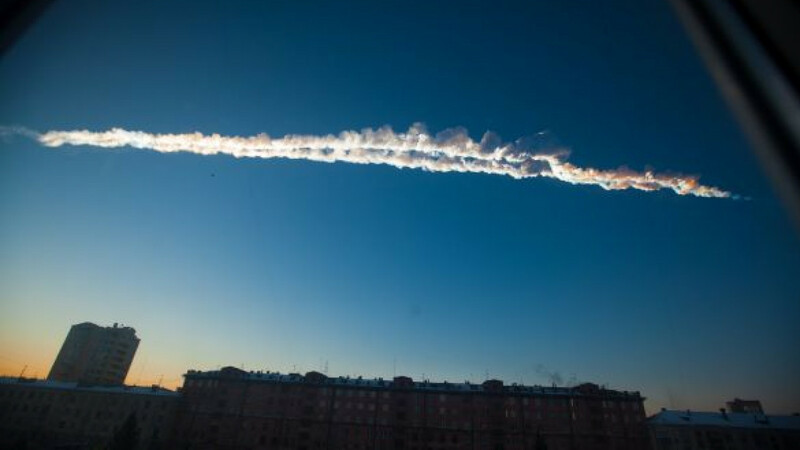 Chelyabinsk city manager Sergei Davydov said that almost 3,000 apartment buildings were damaged by the shockwave from the meteor, along with 34 medical facilities. Emergency officials put the number of damaged buildings in the entire region at closer to 300. City officials said they would compensate residents for all damage caused and urged them to stay calm. Authorities replaced what seemed to be most of the windows over the weekend, Interfax reported. President Vladimir Putin met with Emergency Situations Minister Vladimir Puchkov, hinting to him that officials could be better prepared and inform citizens in a timely manner. Staff writers Allison Quinn and Alexander Winning contributed to this report.